Portable Areas is a relatively new feature available in MvcContrib that builds upon the new feature called Areas that was introduced in MVC 2. In short, portable areas provide a way to distribute MVC binary components as simple .NET assemblies rather than an assembly along with all the physical files for the views. At the heart of portable areas is a custom view engine that delivers the *.aspx pages by pulling them from embedded resources rather than from the physical file system. A portable area can be something as small as a tiny snippet of html that eventually gets rendered on a page, to something as large as an entire MVC web application. You should read this 4-part series to get up to speed on what portable areas are. Also, you should remove the Global.asax from this web application as it is not the host. 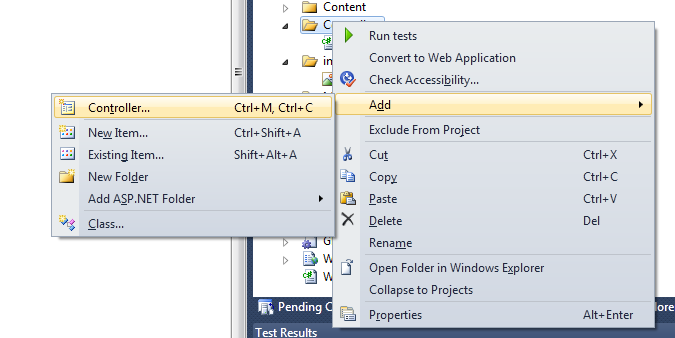 Being able to have the normal tooling experience we've come to expect from Visual Studio makes creating portable areas quite simple. This even allows us to do things like creating a project template such as "MVC Portable Area Web Application" that would come pre-configured with routes set up in the PortableAreaRegistration and no Global.asax file.